Some of Hollywood's most famous restaurants and nightclubs were located on Sunset Boulevard which was also known as the Sunset strip. Hundreds of photographs of these famous nightspots are on the hollywoodphotos.com website, which has more than 9,000 photos of vintage Hollywood. Aoo the photos are available for purchase. 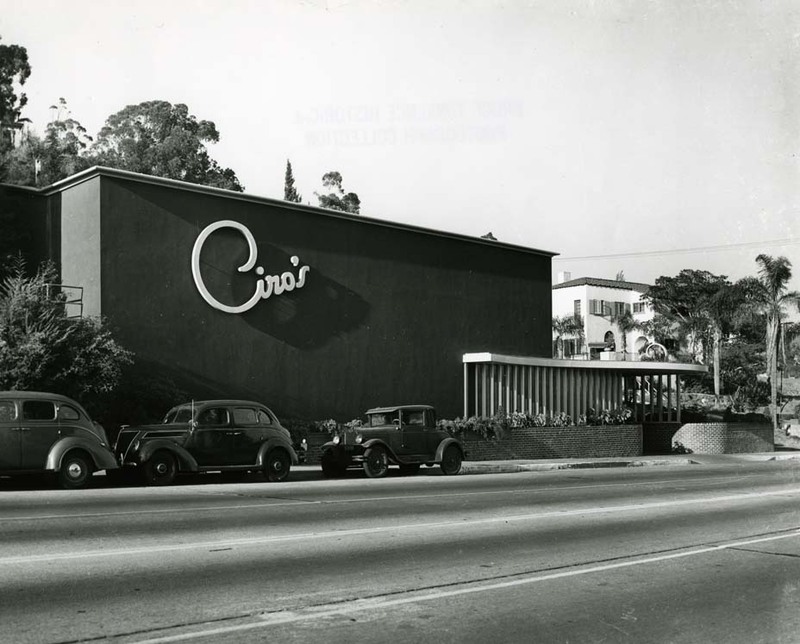 Unquestionably, one of the most popular and glamorous restaurants, sometimes called a nightclub, was Ciro’s, at 8433 Sunset Boulevard. After leaving the Cafe Trocadero, also on Sunset Blvd., W.R. Wilkerson opened Ciro’s nightclub. Ciro’s didn’t get off to a great start and folded after three years. Wilkerson went down the street and open LaRue’s Restaurant. Under new management, Ciro’s soon became one of the most famous Hollywood hotspots. Owner Herman Hover remodeled, turning the club into one of the largest and the most lavish.